While the most important part of an engagement proposal is the love shared between the couple, the ring is also pretty important, and if you’re going to give someone something that special, you might as well put it in a great box. 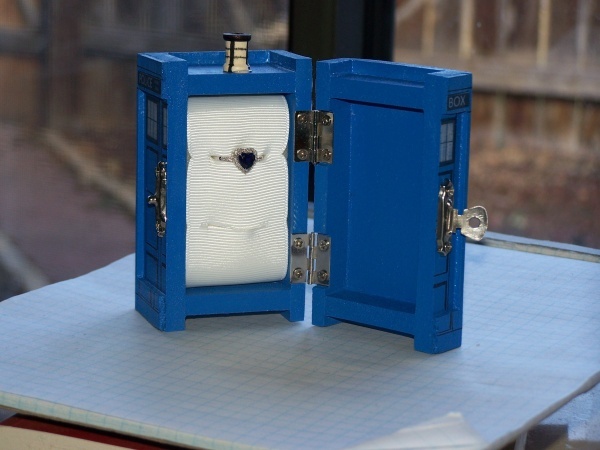 These engagement ring boxes are perfect for anyone ready to settle down with the geeky person of his or her dreams. Practically all Whovians fantasize about either being the Doctor or getting to be one of his companions. When Offbeat Bride reader Anthropolywog’s boyfriend hid an engagement ring in a TARDIS box and then asked her, “Will you be my companion?” the only way she could possibly answer was by saying, "With all my heart through all of time!" 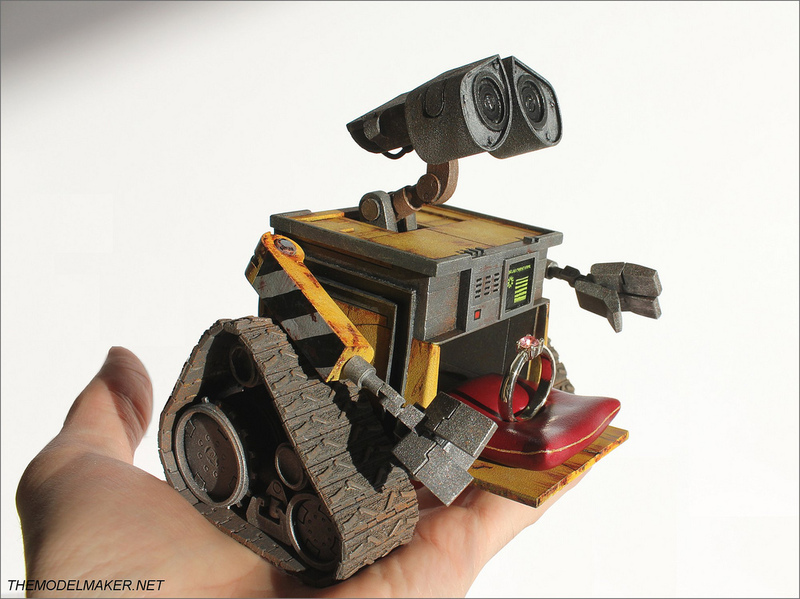 Most geek girls would be touched just to receive such an incredible-looking replica of the world’s most romantic robot, Wall-E, but when they discovered that his center console opens up to reveal an engagement ring, that’s when the sparks would really fly. This was The Model Maker’s first attempt at making an engagement ring box, and I would say he pretty much nailed it. 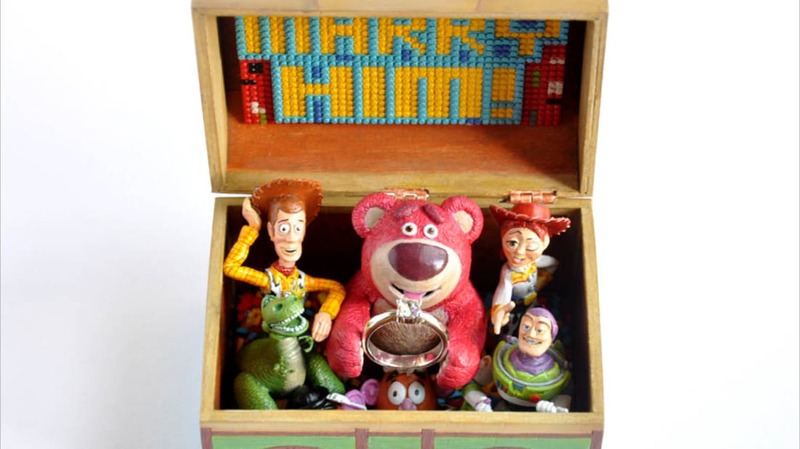 What better way to tell your future fiancé, “You’ve got a friend in me,” than proposing to her with a Toy Story engagement ring box? Once again, The Model Maker presumably made a geek girl very happy. It’s hard to decide on a favorite engagement ring box by The Model Maker when he has so many amazing custom creations. 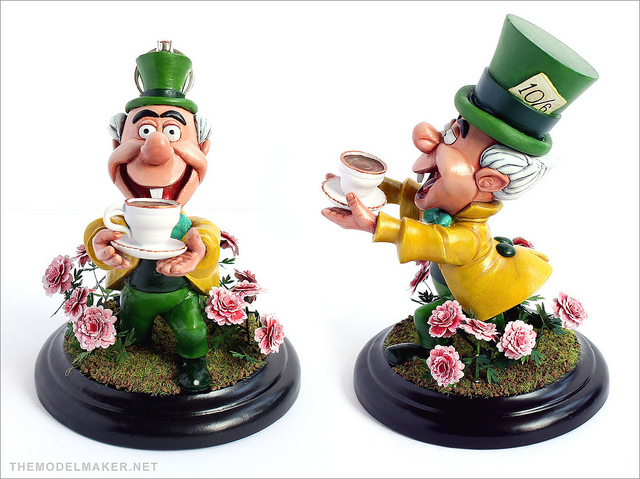 In this one, for example, the Mad Hatter is bent down, seemingly offering a cup of tea, but when you remove his big green hat, there’s a smaller green hat underneath with an engagement ring in it. 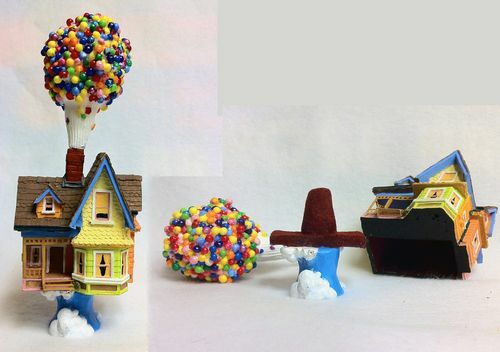 The Model Maker also made an engagement ring box based on the house from Up! and while it is indeed impressive, it lacks the balloons and the whole "up" aspect. Paul Pape was later commissioned to make a ring box based on The Model Maker’s and his decision to take things one step further by showing the house floating through the air made the entire thing really pop—though fortunately, not the balloons holding the house up. Paul Pape didn’t stop with the Up! house, though. 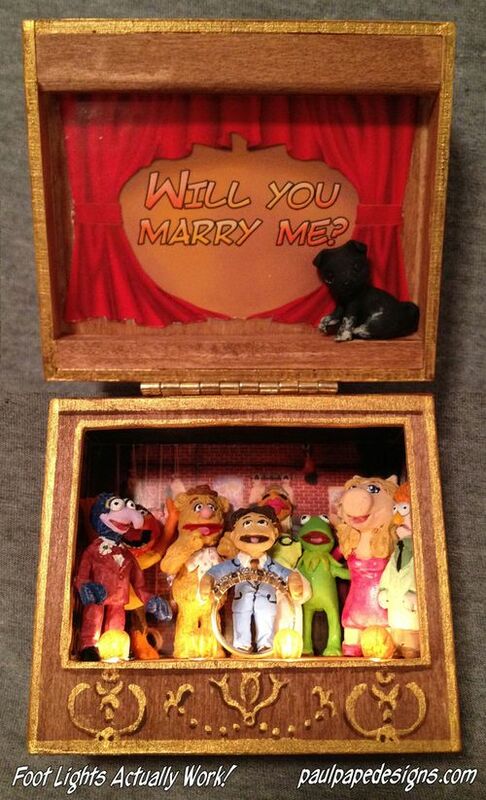 He also created an amazing engagement box designed to look like The Muppet Show theater. While everything about the design is pretty impressive, perhaps the most amazing feature of the box is the fact that the tiny stage’s footlights actually light up. 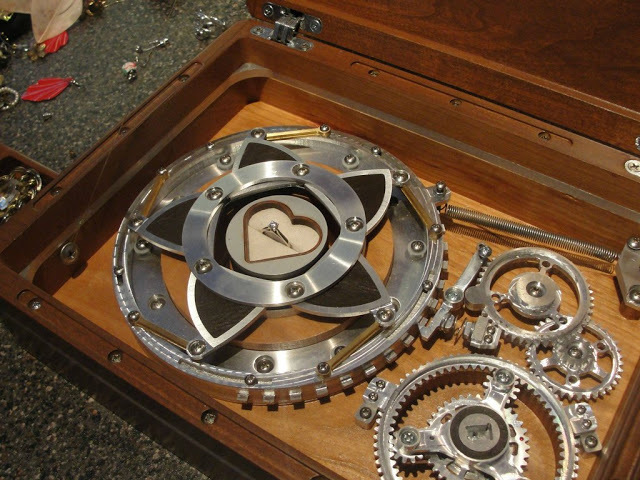 If you’re ready to be with someone for the rest of your life, then it seems appropriate to give them the key to your heart—or to a lovely jewelry box that hides a mechanical device that can only be opened with said key. Of course, when the key does open the box, an engagement ring is revealed. Reddit user Curtisabrina spent more than 200 hours to prepare this for his girlfriend. Eddie Zarick’s girlfriend is a huge comic book fan and is particularly big on Iron Man. So Eddie made her a special light-up arc reactor knowing she’d be thrilled with the gift—especially when she discovered the engagement ring inside. 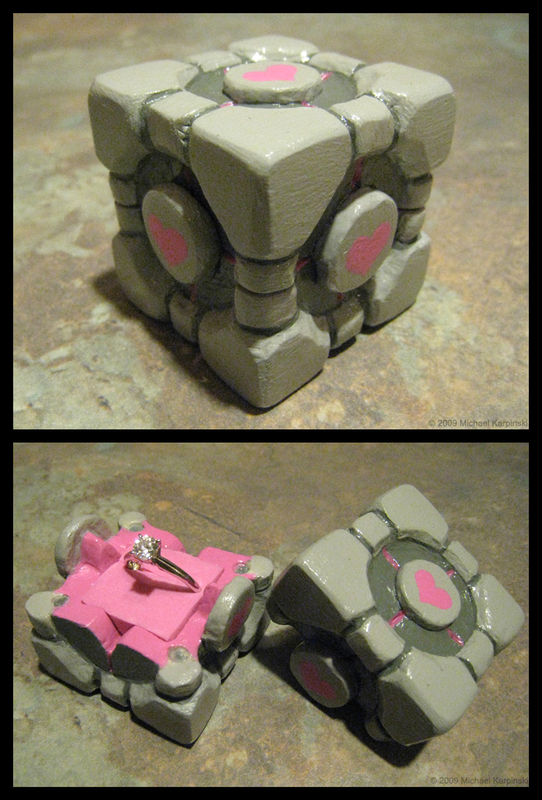 Everyone loves a good companion cube, particularly this one by DeviantArt user risusan with an engagement ring inside, offering a lifetime of companionship. In the Mario universe, you never know what you’ll get when you hit a question block (until you’ve already played the level that is), but it’s almost always something good. 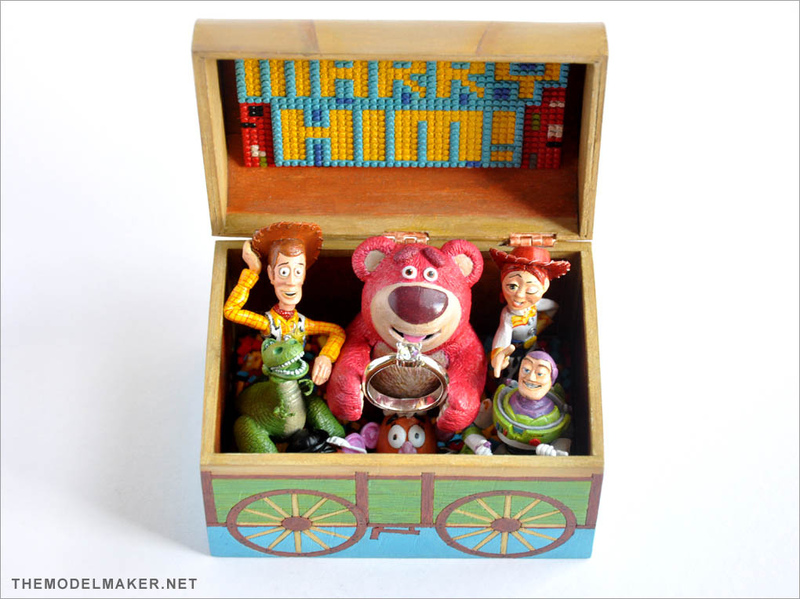 That’s why this is such a great engagement ring box. 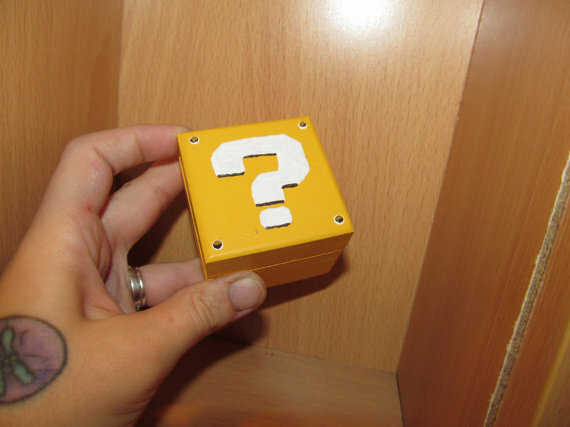 If your girl is a gamer, then she’ll automatically know something good is going to happen when you give her this Question Block box by Etsy seller emmadreamstar. When Rock N’ Roll Bride featured Jane and Neil’s wedding, the photos of Jane’s purple dress, the Mario-themed wedding cake, and the arcade cabinet used to hold the seating chart all went viral fast. 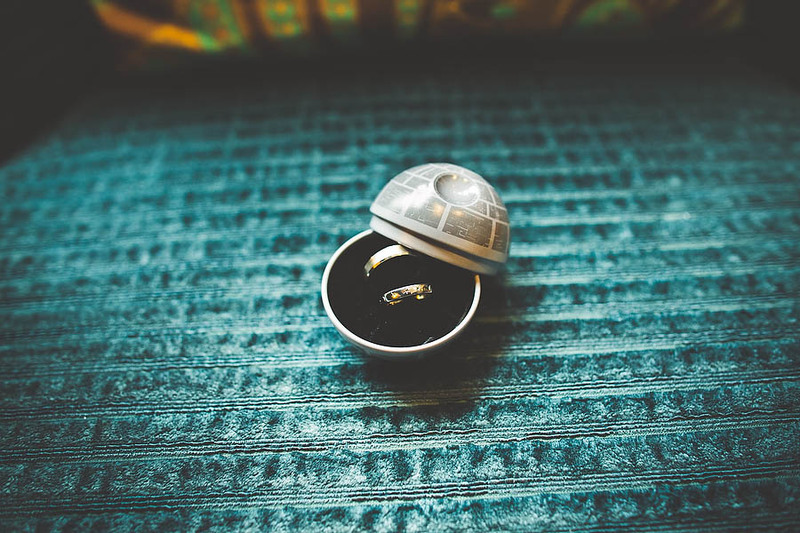 One thing most people overlooked, though, was the adorable Death Star ring box the couple used to hold their wedding bands before the ceremony. Technically this was a wedding ring box, not an engagement ring box, but it’s certainly close enough to count. Have any of you Flossers ever had a particularly cool ring box (whether or not it was for an engagement ring)?